I’ve been off both school and most work for the past three weeks. It’s been positively lovely. I realize this is probably the last time before I retire that I can simply hang out at home without worrying about work or school. I’ve been busy cleaning, crafting, gardening and relaxing. Here are some snippets of what I’ve been up to. 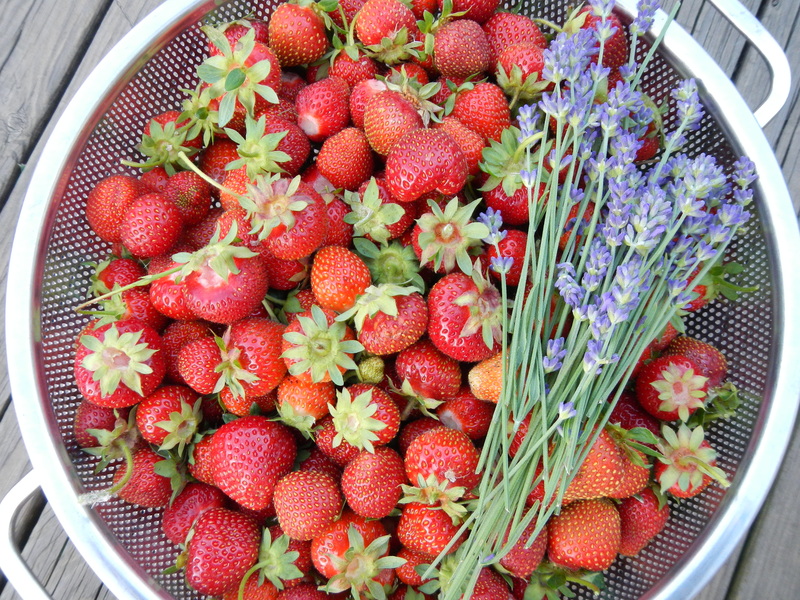 The strawberries have been incredible this year. I estimate I’ve harvested 30-40 lbs so far, with more coming in each day. I’ve made parfaits, shortcake, tarts, strawberry lemonade, dried strawberries, frozen strawberries, smoothies… the list goes on. I’ve been pawning them off on the neighbors and anyone who happens to stop by. It’s getting a little exhausting, truth be told, but I can’t complain. It’s the first “bumper crop” since I started my garden here and it’s a real joy. The lavender has also done well this year. I snip all ripe buds each evening and dry them. I tuck them into my drawers, between my sweaters, and set some aside to cook with during the year. Lavender ice cream or hot chocolate anyone? 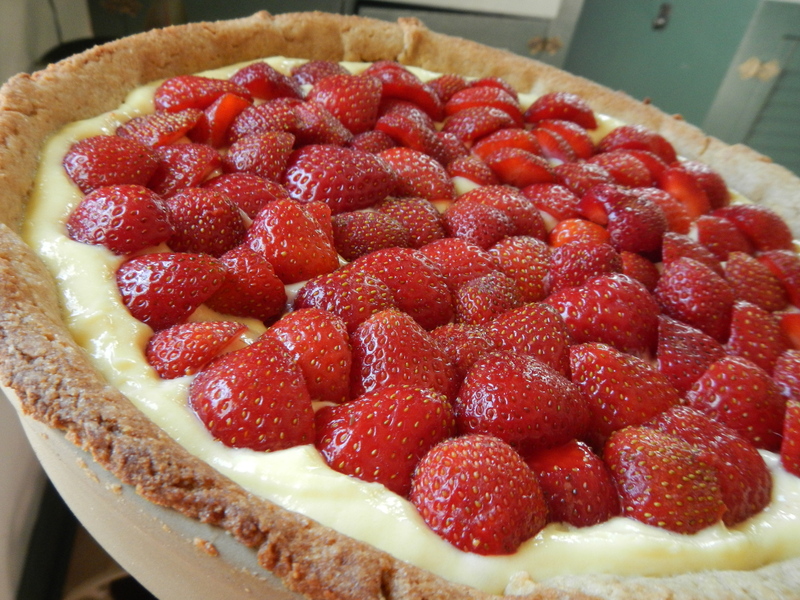 I used this strawberry tart recipe and, boy, it was good. Bake it for a crowd, though, because it’s probably the richest dessert I’ve ever made. 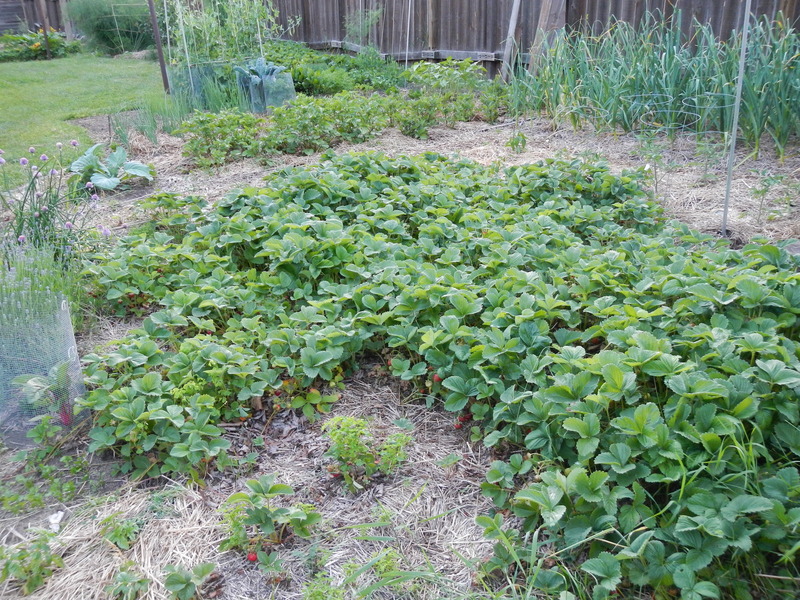 I have three strawberries patches and this is the largest. As you can see it’s taking over the garden. It’s due for a massive hacking back rejuvenation, which it will receive once it finishes fruiting. 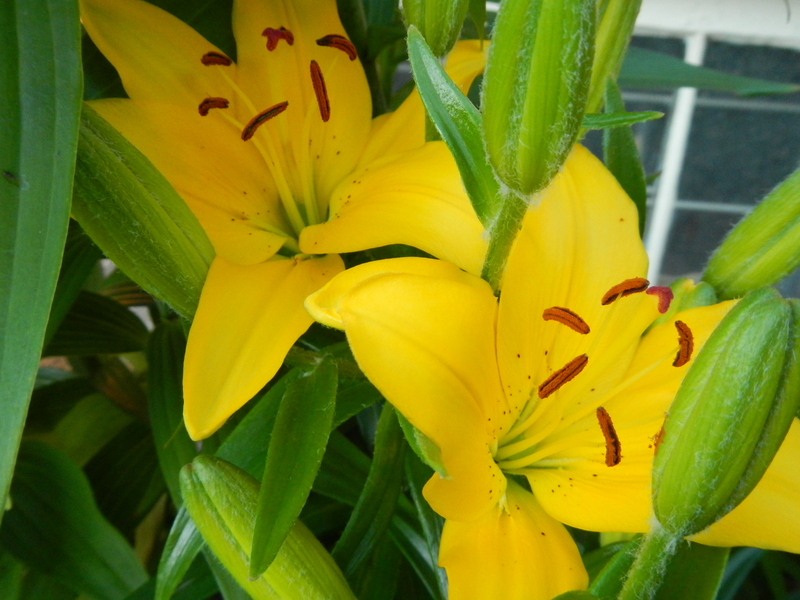 The yellow lilies are blooming. 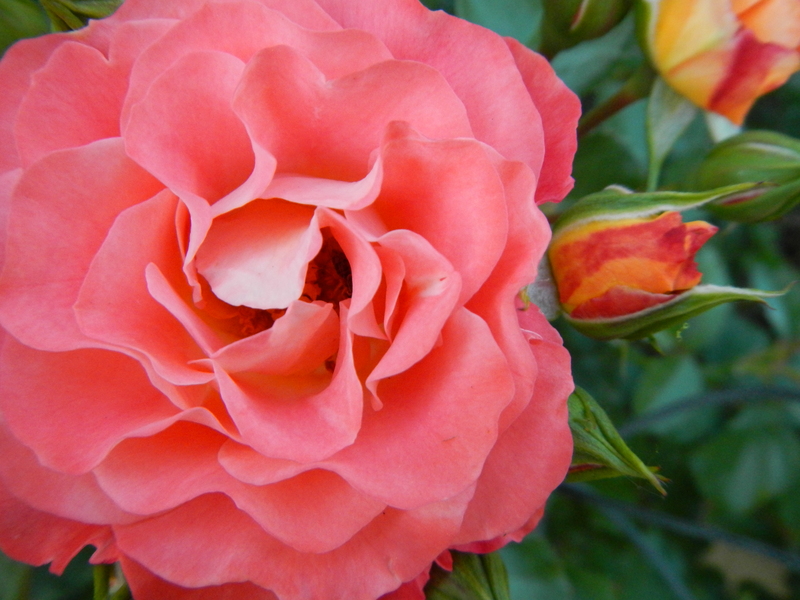 As is the ‘Coral Cove’ rose. 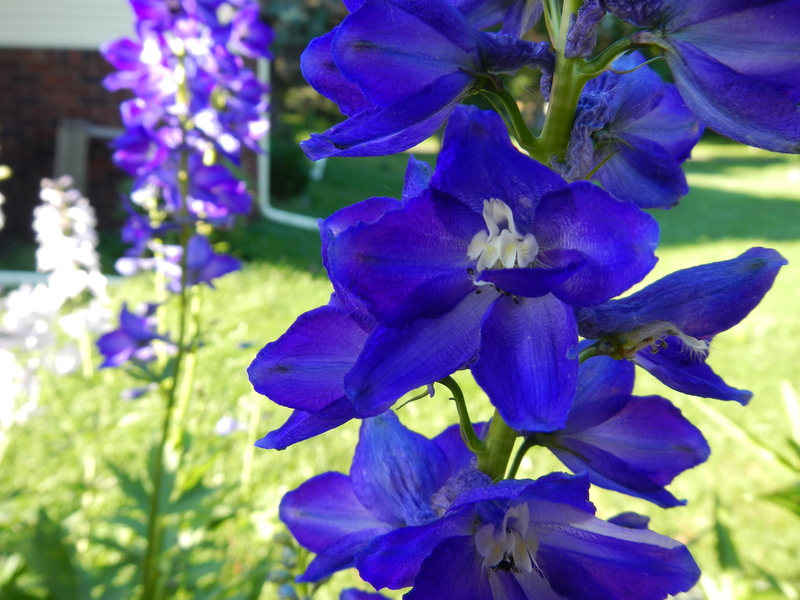 When the weather heats up the fragrance wafts over most of the yard! 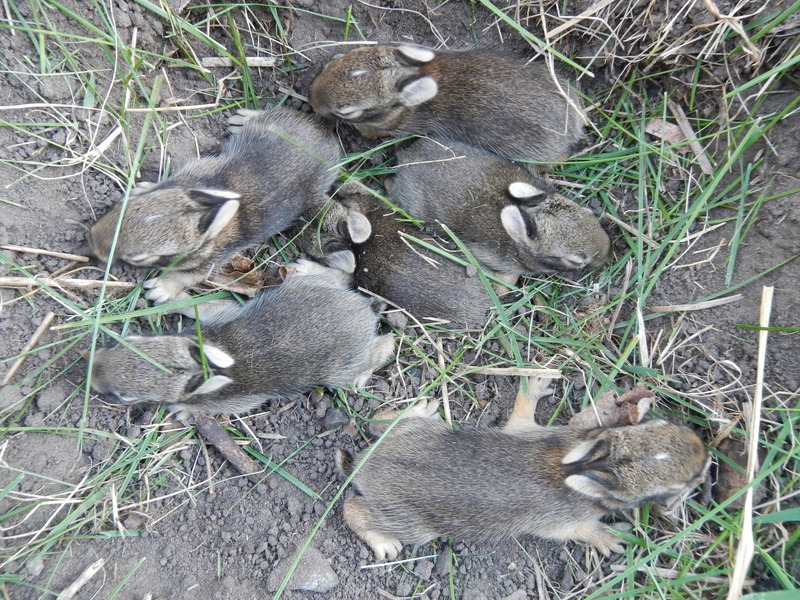 This is the second nest of baby bunnies in my veggie garden this year. I ran off the first batch, but these little guys don’t even have their eyes open yet. I believe in dispatching with them humanely, but sometimes I melt from the cuteness and just leave them be. I’ll regret it later, but right now it’s fun to head out and pet their fuzzy warmth. 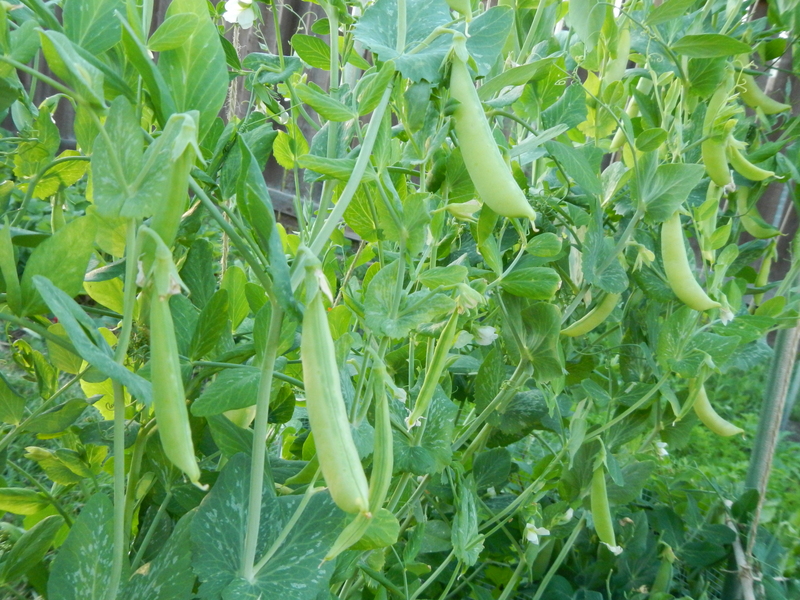 Other garden delights are coming in, including the peas, garlic scapes, greens, and herbs. 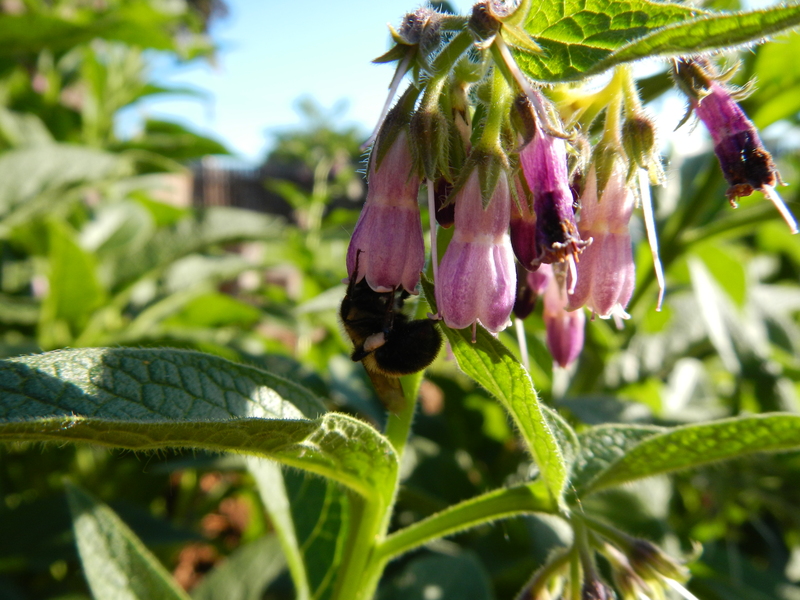 Oodles of queen bumblebees frequent the garden and they particularly love the blooming comfrey. One of the bees is nearly as big as my thumb. They’re working frantically to set up their nests and then they’ll incubate their brood. Once the first workers hatch out, the queen will stay in the nest, but the only bumblebees out right now are queens. 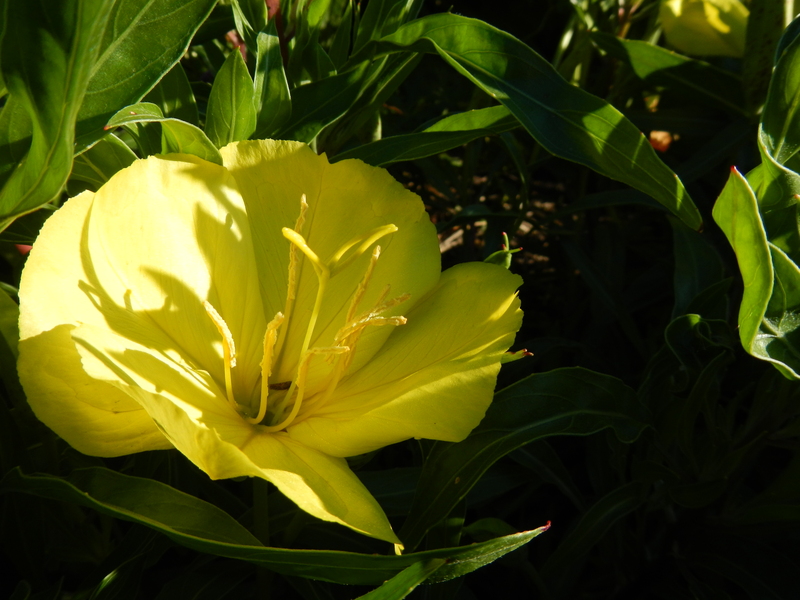 The Oenothera is blooming. The tag says it’s suppose to be fragrant, but I detect nothing. Do you have evening primroses? Are yours fragrant? This morning I caught the beaded moisture on the edges of the Achemilla. 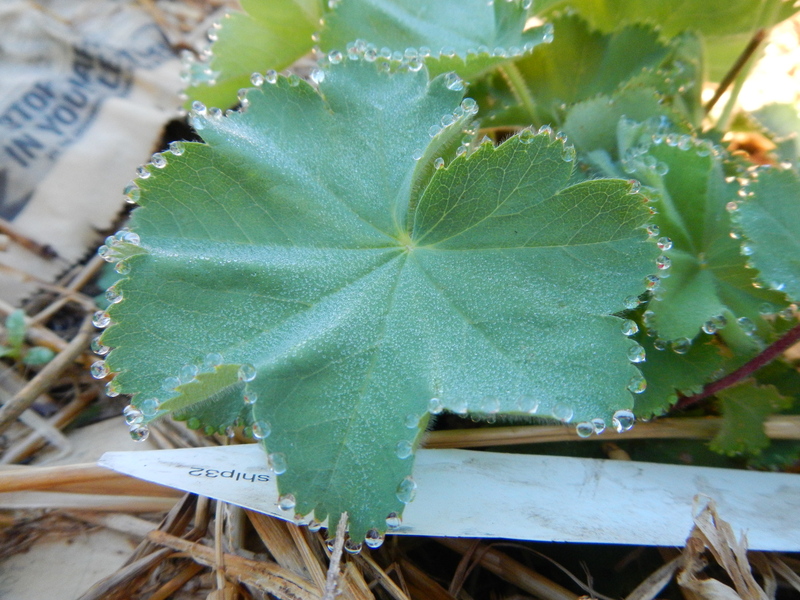 It looks like dew, but it’s actually the result of “guttation” where the water pressure builds at night and pushes out through the edges of the leaf. Cool, eh? 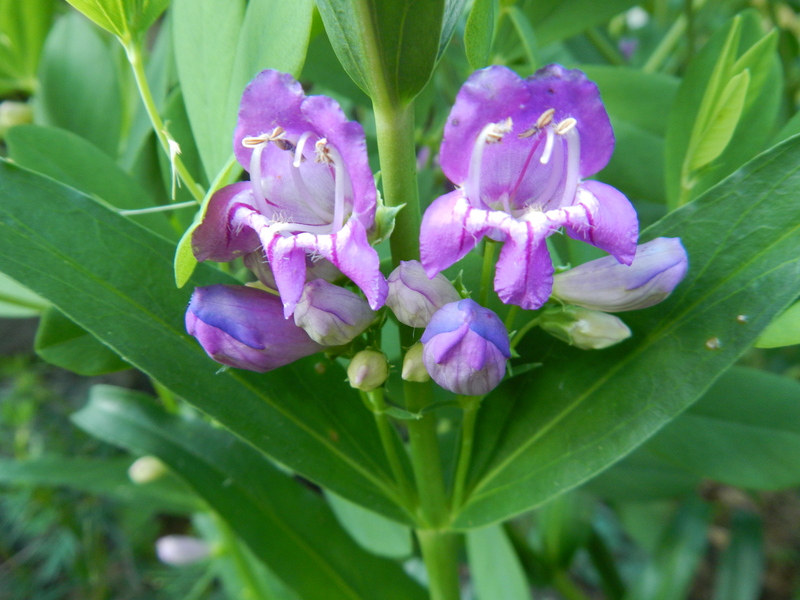 I think the open mouth of the penstemon flower looks like a roaring lion, complete with dangling fangs. Of course, there has been a bit of knitting. 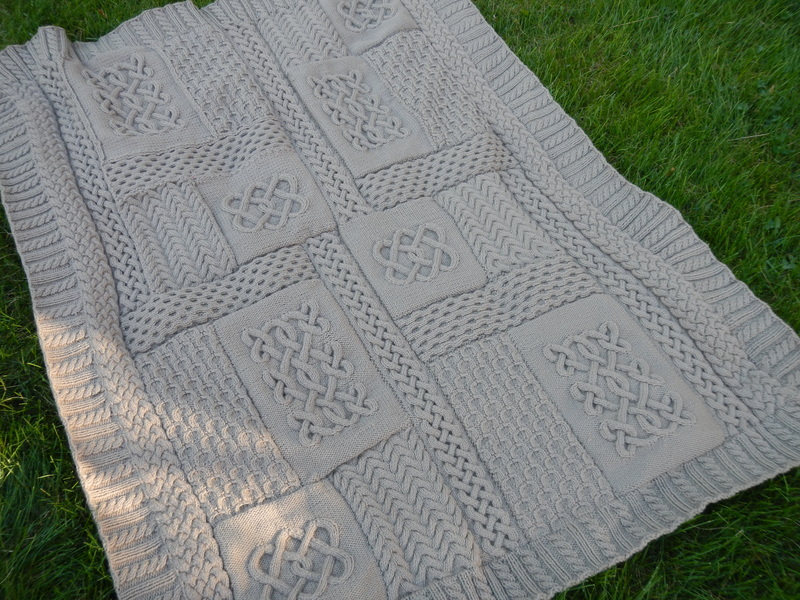 After 18 months, I finished up the cabled sampler blanket. In the end it ate up 24 skeins totaling nearly 5.5 lbs and 2 miles of yarn. It’s going to be so nice next winter. Until then, it’ll look nice living on our couch. Ellie (the cat) has already laid a claim to its’ cushy warmth. 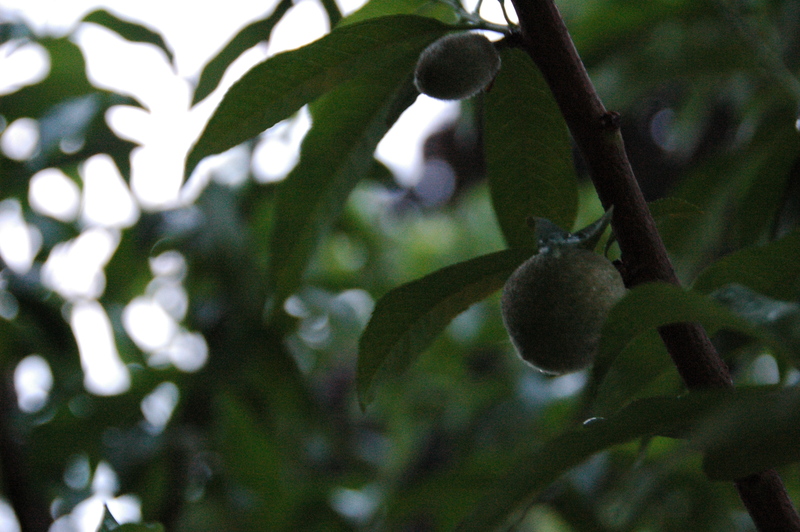 The peach tree has grown like a weed and put on a nice crop of fruit. The fruits are about the size of a walnut. I’m noticing some damage which I think is from the plum curculio. Next year I’ll be ready the bag the baby fruits. 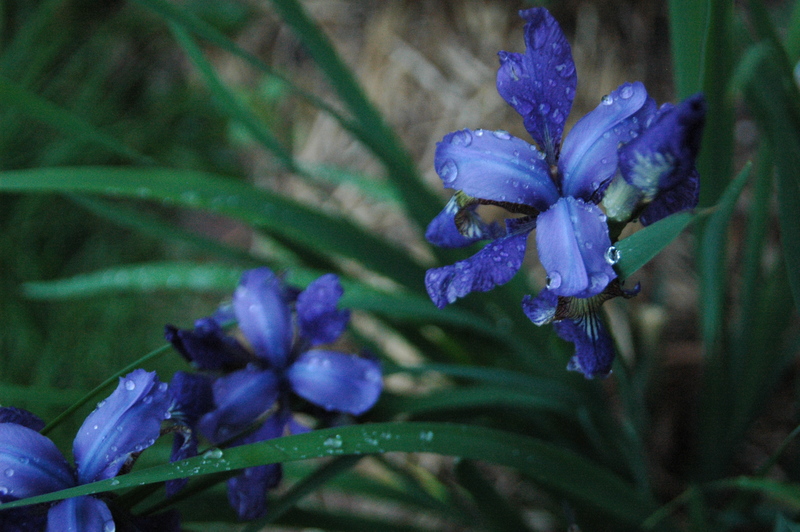 And I’ll leave you with a sweet picture of some Siberian Iris blooms. I hope to be back again before school starts on Monday!